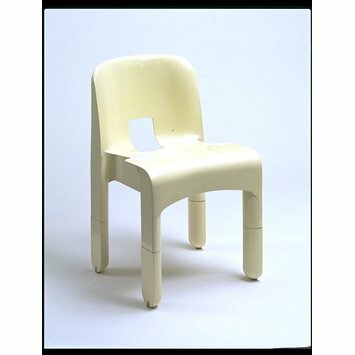 The 'Universale' was the first all-plastic chair to be made by the injection-moulding technique. 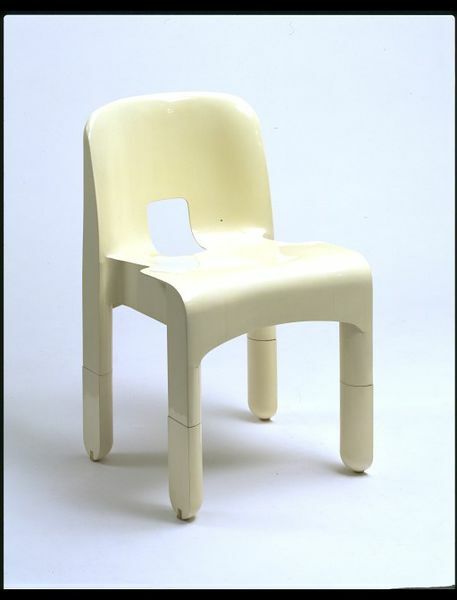 It was also one of the earliest plastic chairs to be commercially available. The Italian manufacturer, Kartell, was an innovative firm whose main production was plastic laboratory and industrial wares. They marketed the 'Universale' as a multi-functional chair that was stackable, portable, and suitable for both indoor and outdoor use. 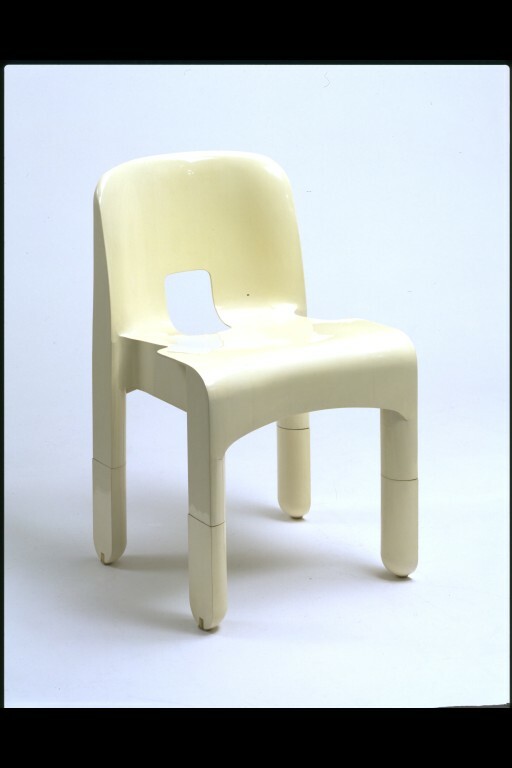 The design included detachable feet, which allowed the height of the chair to be adjusted. The structure was based on a child's chair, which Marco Zanuso and Richard Sapper had designed earlier for Kartell. The 'Universale' is typical of Pop design, which used bold pattern, bright colour and new shapes and was specifically aimed at a young market. Plastic, previously seen as 'cheap and cheerful', became a fashionable and novel material.